years. 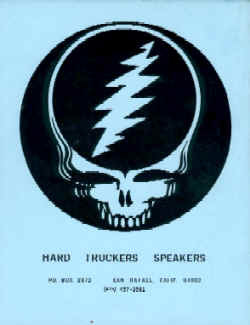 We, the HARD TRUCKERS, designed and built the Grateful Dead's Wall of Sound and toured the United States with our semi-trucks packed with speakers. Our experience, of building equipment that will withstand the rough treatment of "Being on the road" and also provide good clean quality sound, has enabled us to design and produce a quality line of speaker cabinets. Each cabinet has an individually rubbed finish. specially made clamps to facilitate quick and easy replacement in a live gig situation. Our CROSSOVERS are specially designed by our engineers using a Hewlett-Packard Audio spectrum Analyzer and a B&K Laboratory Microphone. This equipment enables us to fine tune the L C networks and obtain the maximum flat response passable. to be dropped off a shelf or a stage and survive. We use Pomona double banana plugs with our speaker cabinets because they have a power rating ten time higher than that of a conventional phone plug. 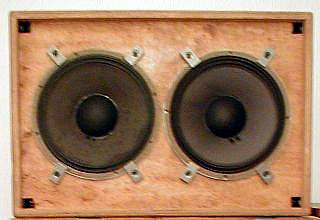 This insures that neither amplifier nor speaker will be harmed from under-rated connectors. 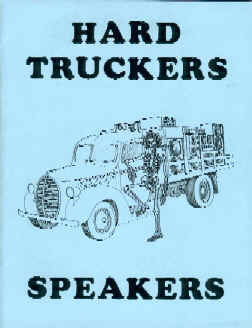 HARD TRUCKERS speaker cabinets are guaranteed for life under normal working conditions, including "being on the road". 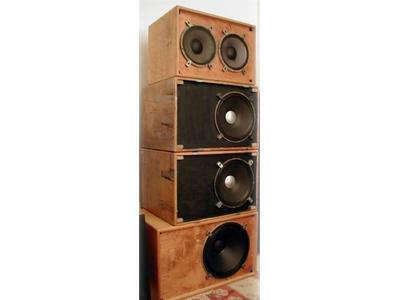 HARD TRUCKERS offer a wide variety of sound specialties. At our warehouse in San Rafael, California, we have a complete audio research and development center, staffed with engineers who have spent as much time on the road as in the lab. The result of this real life rock and roll experience is that all of our equipment has been designed with the user in mind and is totally road worthy. Our electronics division is capable of constructing complete sound reinforcement systems, mixing consoles, limiters and other processing devices. In the near future we will be introducing a delay unit for musicians, a bi amped electronically crossed over speaker cabinets, with many other unique state-of-the art audio devices to follow. We are completely agreeable to do custom work and invite any interested parties to inquire. 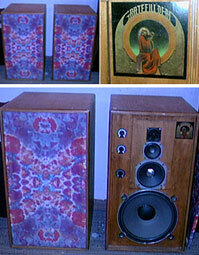 HARD TRUCKERS has a complete JBL and ALTEC LANSING speaker re-coning center, which offers quality work and fast service. We also have a repair shop for amplifiers and other audio electronic equipment, which maintains the equipment of many of the Bay Area's well known bands. THE HARD TRUCKERS COMPANY RETURNING DECEMBER 1, 2006!